Driven by high winds in the Feather River Canyon, the Camp Fire raced west, destroying parts of the the communities of Paradise and Magalia. So far, 23 people are confirmed dead in the fire, which had burned a staggering 6,453 homes and 120,000 acres as of Sunday morning. PG&E's brief report said that an aerial patrol was sent to survey the transmission line -- actually three lines strung across high-rise steel towers on the west side of the Feather River -- hours after the fire started. The report says the patrol observed a damaged transmission tower about a mile northeast of a resort called Pulga. It's not clear from the report whether the damage occurred before or after the fire began, and a company spokesman did not address that question. In a story published Friday, the Bay Area News group reported that Cal Fire crews arriving on the scene reported seeing vegetation burning "on the west side of the river underneath the transmission lines." Cal Fire spokesman Scott McLean said Friday that the cause of the fire is still under investigation, but added that the agency is "looking into all possibilities including electrical equipment failure." "CPUC staff will incorporate PG&E's incident report on the Camp Fire into its investigation to assess the compliance of electrical facilities with applicable rules and regulations in fire impacted areas," Prosper said in an emailed statement. 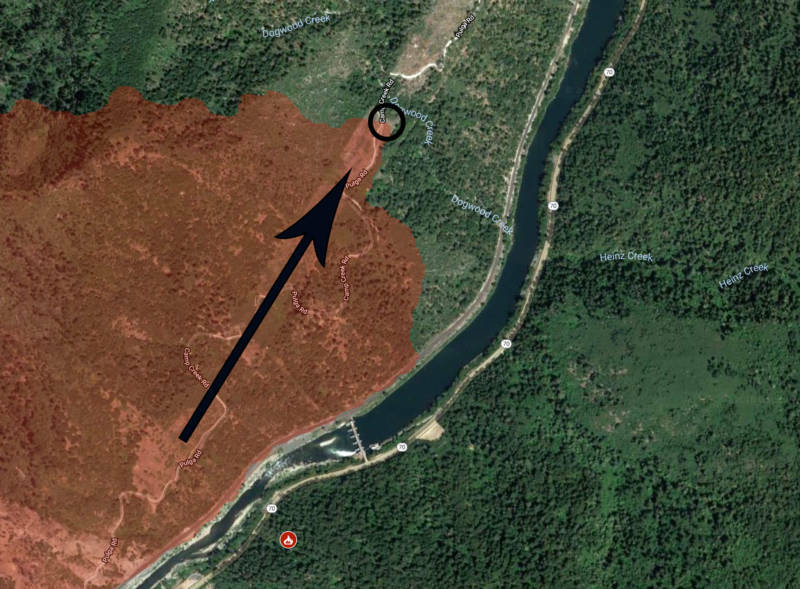 "The staff investigation may include an inspection of the fire sites once Cal Fire allows access, as well as maintenance of facilities, vegetation management and emergency preparedness and response." she said. 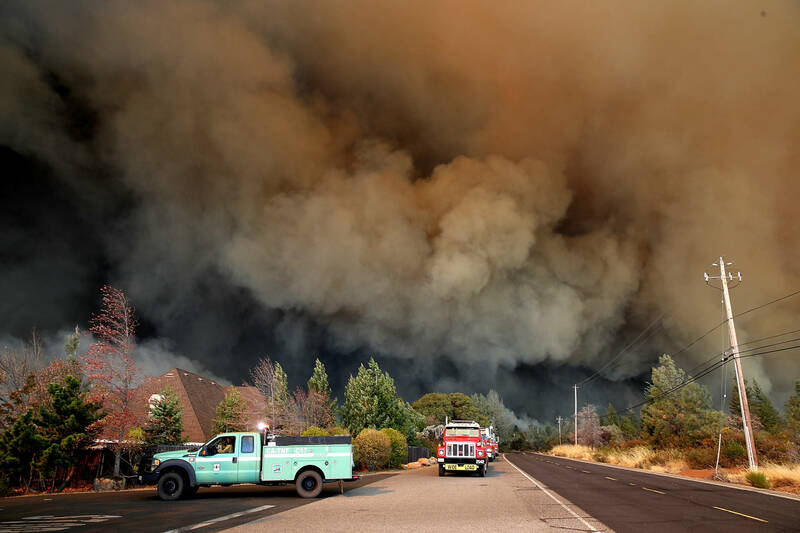 Those blazes include the 2015 Butte Fire, a 70,000-acre blaze in Calaveras and Amador counties that killed two people and destroyed 500 homes. Cal Fire said the utility's poor maintenance of trees along power lines led to the fire. The company's liability in the fire has been estimated at $1 billion or more. Cal Fire investigators have determined that 16 of those fires involved the company's electrical equipment: with snapped poles, slumping or falling power lines, and trees or parts of trees coming into contact with lines sparking fires. 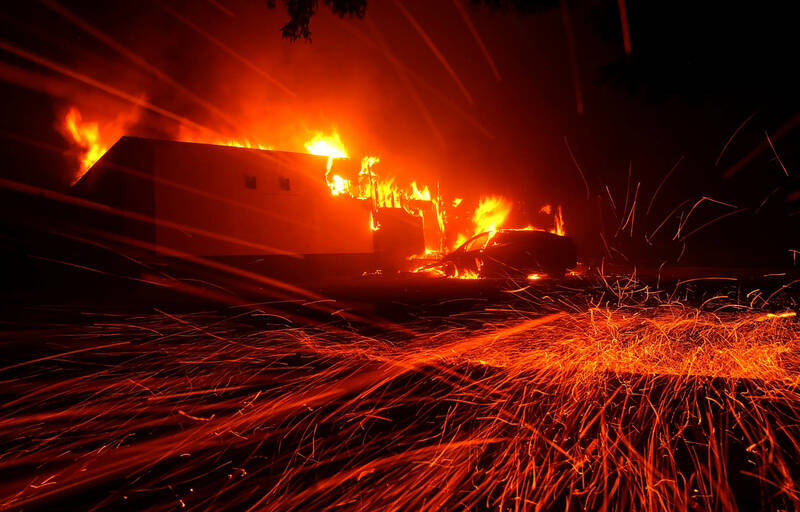 Four of the 2017 fires that PG&E has been blamed for so far -- the Redwood (Mendocino County), Atlas (Napa County), Nuns (Sonoma County) and Cascade (Yuba County) -- accounted for 22 of the 44 deaths during the fire siege. Investigators have not yet released a cause for the deadliest, most destructive North Bay blaze -- the Tubbs Fire, which killed 22 people and destroyed more than 5,000 homes in and around Santa Rosa. The October 2017 fires caused an estimated $10 billion in insured losses. The magnitude of the disaster -- and PG&E's possible liability -- prompted the company to lobby the Legislature for relief. The result was legislation, signed in September by Gov. Jerry Brown, that will allow the company to pass on some of its fire-related costs to customers. The law will also allow the CPUC to consider a broad range of factors -- including weather conditions, a utility's efforts to prevent fires and findings of mismanagement -- in deciding whether fire-related costs can be charged to ratepayers.